success in a few words. task, everything else falls into line, like dominoes. one focal point. Until you find it, seeking it will be your one thing. skill for programming. He built that knowledge into success as co-founder of Microsoft. We at LinkTiger would like to wish all of our US based customers a Happy Thanksgiving. We would also like to thank ALL of our customers for their continued support. All the best this holiday season. 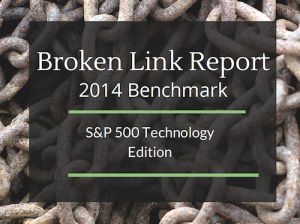 LinkTiger, finding and fixing broken links … One link at a time!